“For everyone to whom much is given, from him much will be required; and to whom much has been committed, of him they will ask the more” (Luke 12:48, NKJV). When I stepped off the plane at Lungi International Airport in Freetown, Sierra Leone, for my first preaching trip to this country, I did not know what to expect. All I knew was that this was my first visit to West Africa and I wanted to be a blessing to the people of God here. It was not long before I realized that I had entered one of the poorest countries in the world. The airport itself told the story. A newspaper article that came out that same day in Sierra Leone (Standard Times of Tuesday, September 9, 2008, Environmental Forum by Ishmael Dumbuya) gave me the following shocking statistics: The UN has identified Sierra Leone among the fifty Least Developed Countries (LDCs) in the world. Sierra Leone is also ranked as the world’s lowest on the UNDP’s Human Development Index (HDI). In other words, when one puts together the nation’s literacy (30%), primary school enrolment, access to safe drinking water (34%), life expectancy (38 years), maternal deaths, malnutrition, child mortality (182/1000) levels, etc, Sierra Leone ranks the lowest in the world. Nearly four-fifth (80%) of the population survives on less than $1 (K3,500) per day, i.e. less than K100,000 per month. “With respect to mortality, Sierra Leone has a crude death rate of about 20 percent per thousand which is about the highest in Africa” (sic). This is despite the fact that the country is rich in mineral resources, including diamonds! 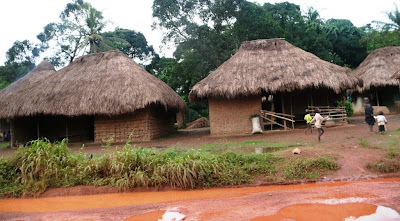 The picture below shows a typical scene on the road from Freetown to Bo. I was quick to dig up some history so that I could preach more relevantly to the church and the people of Sierra Leone. Here is a thumbnail sketch: Although Sierra Leone was inhabited from time immemorial, it is famous for its association with the infamous slave trade. Because of its position on the map of Africa, it was a point at which many slaves were shipped to Europe and America, and later it became the place where returning slaves were freed (hence “Freetown”, the name given to its capital city in 1787). It still has many associations with this past, e.g. there is an entire suburb in Freetown called Wilberforce! Sierra Leone became a British colony at the end of the 19th century and gained its independence from Britain in 1961. Like most African countries, it spiralled downwards from bad to worse after independence. Due to corruption and misrule things reached rock bottom in 1991 when a civil war broke out which lasted about ten years. (The greed that fuelled the civil war is captured in movies like Blood Diamond. No doubt, a piece of history like this must be fodder for the movie-making industry in Hollywood!) This resulted in about 50,000 people being killed and hundreds of thousands of people being displaced. The GDP fell from $277 in 1990 to $142 in 2000 (thankfully, since the end of the war it has slowly been going up and is now above $200). The photo below shows the commercial centre of Freetown, a city of one million people. In the middle of the photo is the famous "Cotton Tree" where slaves used to be released to enjoy their new-found freedom. It is over 200 years old! This is the country to which I came to bring God’s Word. I found the people very warm and friendly. It was clear that they were not as conscious of their deprivation as I was. Sierra Leone is 60% Muslim, 30% Christian and 10% Traditional African religions. Despite this huge Muslim population, freedom of religion is guaranteed to all – a very rare phenomenon where Islam is with such a large majority. 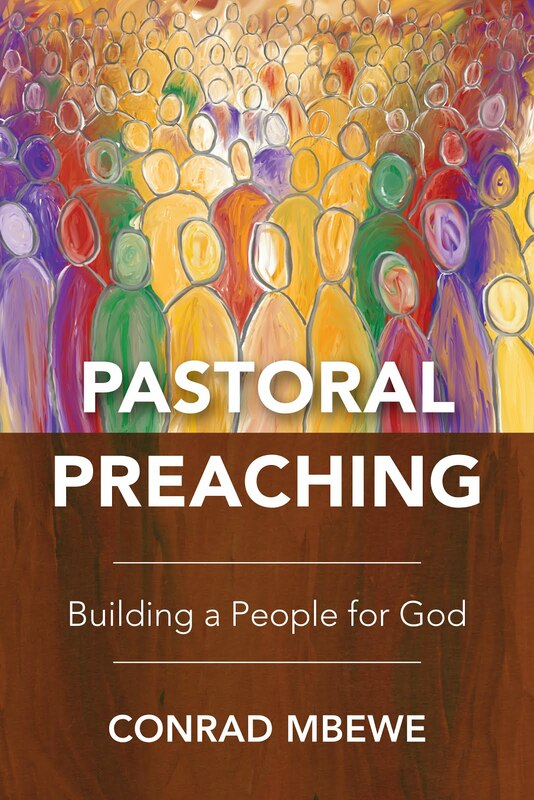 I preached at two conferences. The first was a three-day Evangelical Ministers’ Gathering in Freetown. It was hosted jointly by United For Ministry (Mike and Vi Webb) and Truth Mission (Christopher Jonah), who together run the Grace & Truth Bible Institute. There were about eighty church leaders in attendance and I preached on the themes “Biblical Christianity Today” and “Spiritual Gifts Today”. The second was a one day Church Leaders’ Seminar in Bo, the second largest city in Sierra Leone, some 240 km inland. I preached on the theme “Biblical Christianity Today” to a group of about forty church leaders. In both places, the Q&A sessions betrayed an overdose of Charismatic influence and teaching. Most of the church leaders were very eager to learn and asked very sincere questions as they noticed what they had taken for granted to be violations of the Word of God. On Sunday, I preached at the Grace Community Church (Pastor, Samuel Tarawally) - see photo of congregation above. This is a church that started less than a year ago to provide a place where consecutive expository preaching can be heard – a very rare phenomenon in the whole of Sierra Leone! I am pictured below with the leaders of the church (L-R: Mike, Christopher, Samuel and “yours truly”). These men were also the other preachers at the Freetown EMG. They are also the lecturers at the GTBI. These men swim against the tide and I commend them to you for your prayers. Ministry on the Lord’s Day ended with a live one hour phone-in radio broadcast on BBN radio on the subject of biblical Christianity. I was interviewed together with Mike and Christopher. I appreciated the opportunity this gave me to share the Reformed Faith on the airwaves. Pray for the men who attended the just-ended conferences that they will work towards implementing in their churches some of the basic truths they learnt at these two meetings. It will not be easy! As I write all this, I am still in Sierra Leone. I am appreciating once again just how much God has done for us in Zambia. 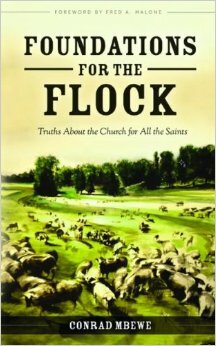 The Reformed Faith we take for granted among our churches is “a dog’s horn” (to use a Zambian proverb that means “virtually non-existent”) in most of Africa. God’s message ringing in my heart is the one quoted above: “For everyone to whom much is given, from him much will be required; and to whom much has been committed, of him they will ask the more” (Luke 12:48, NKJV). Shall we see all this and look the other way as Reformed Baptists in Zambia? No, we must share what God has blessed us with across our borders! 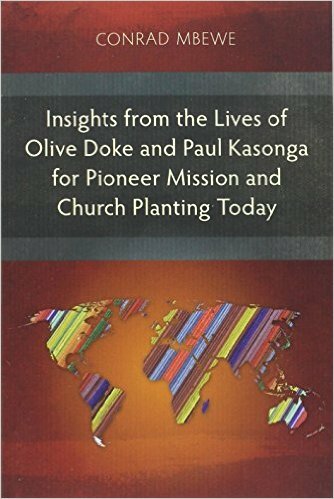 The challenge is for us to send church-planting missionaries to other parts of the African continent, and Sierra Leone should be very high up on our priority list. 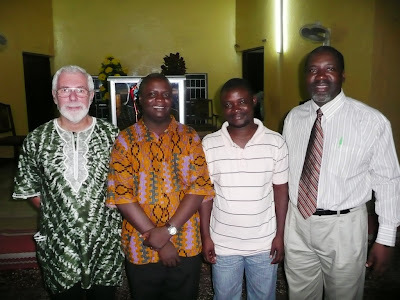 Could God call EAFC to partner with churches in Sierra Leon to TRAIN men faithful to the Word? Does Kabwata Baptist, want to help the struggling church there? You could be the partnering church and those you trust would be the mentors? Or you could bring some of them to TCCA or Preacher's College? What do you think? We just accepted 32 new students from 10 countries in Africa studying in about 11 fields of study. Thanks, Val, for your visits to the blog, and your persevering with me. I have been "on the road" and hope to slow down soon. I need to update you on where we are with the EAFC applications for our students, but will do it straight to your e-mail box. I will chat with the brethren in Sierra Leone about your thoughts. It sounds good to me. Thanks again!